Azerbaijan and Turkmenistan are at it again, feuding over a lucrative patch of the Caspian Sea. Russia would likely be the chief beneficiary of Caspian discord, if it continues. Baku and Ashgabat have wrestled since the Soviet collapse in 1991 over ownership of three Caspian oilfields. 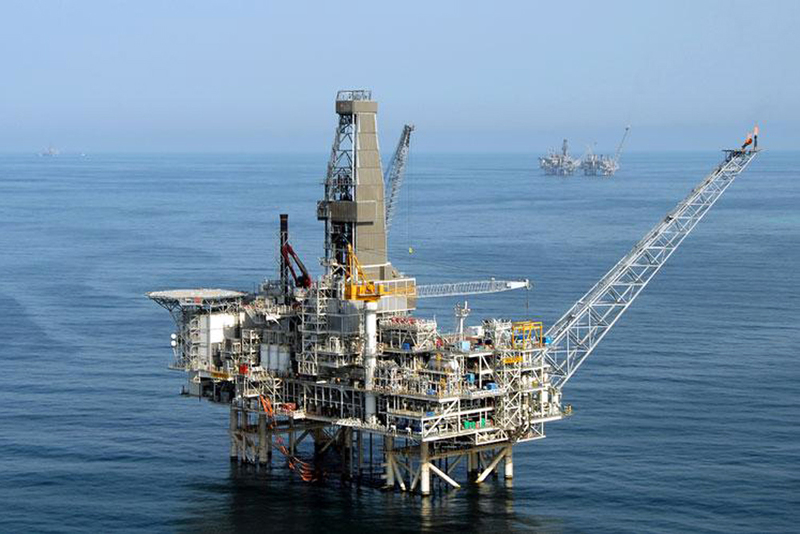 Two of the three fields are now among Azerbaijan’s energy gems – the Azeri field (Omar to Turkmenistan) and the Chirag/Osman (620 million tons in oil reserves), both developed by a BP-led consortium. The third disputed field, Kyapaz (Serdar), has about 50 million tons of oil reserves and is still undeveloped. The latest flare-up of bilateral tension began when Turkmenistan announced plans to start geological sampling at the Kyapaz field. Azerbaijan’s Foreign Ministry asserted that such a move violates a 2008 bilateral agreement that bars work on the field until the ownership dispute is resolved. An Azerbaijani Foreign Ministry statement stressed that Baku “reserves the right to take steps to defend its sovereign rights in the Caspian.” Turkmenistan later denounced an Azerbaijani border patrol boat’s stopping of a Turkmen vessel it claimed was pursuing “scientific” work in a different area of the Caspian. As of July 10, after another standoff, in which Turkmenistan threatened to take the matter to international arbitration, officials from the two states had agreed to continue talks -- as they have been doing for almost 15 years. But the three fields’ status as an enduring bugbear could come still more heavily into play if, as indicated by Azerbaijani Energy Minister Natig Aliyev in May, an agreement to build the trans-Caspian pipeline is signed with the European Union by the end of 2012. The pipeline would make use of gas from the fields and require signatures from both countries. Russian leaders have long opposed construction of a trans-Caspian pipeline, which would circumvent Russia and thus limit the Kremlin’s ability to control European-bound energy exports. Speaking in Baku in June, Russian Foreign Minister Sergei Lavrov asserted that the “EU cannot push the trans-Caspian pipeline project without consideration of Russia’s interests,” local news agencies reported. Moscow has claimed that alleged “legal and environmental concerns” are its central interests. But energy analyst Ilham Shaban believes that Russian opposition is driven mainly by economics. Backing Shaban’s belief, the Turkish newspaper Hürriyet on July 5 quoted Turkish officials as saying Azerbaijani gas, imported via the new trans-Anatolian gas pipeline, will undersell Russian gas in Turkey by at least 12 percent. The amount of Azerbaijani gas being exported to Turkey is “not so high as to compete with Russian gas,” noted Shaban. But throw Turkmen gas to the mix, and “the prices will be even cheaper,” he added. “Russia cannot allow the construction of the trans-Caspian pipeline,” Shaban asserted. If the trans-Caspian pipeline works out, Russia will face a fresh threat to its hold on European gas markets, commented Azerbaijani political analyst Arastun Oruilu, head of the East-West think-tank The conflict over the Caspian Sea gas fields stems from “Russia’s desire to keep its monopoly” on those markets, he contended. “Moscow has the ability to influence the foreign policies of both Ashgabat and Baku and it is exactly what we see now,” Orujlu said. “They see our relations slightly improve, real work is done and some documents are prepared and [they] want to damage it,” Aliyev said to APA news agency. The fact that neither Azerbaijan nor Turkmenistan have opted for a softer approach – such as the creation of a bilateral commission to discuss their differences -- “raises suspicions that the two are using this conflict for some other reasons,” added Elhan Shahinoglu, director of the Baku non-governmental research center Atlas. Ultimately, though, the conflict only serves Russia’s interests, he said. “If the situation continues this way, it will bury the European Union’s hopes for implementation of the trans-Caspian and Nabucco [the long-proposed Russia-bypass gas pipeline] projects in the coming years,” Shahinoglu said.